Congratulations! You won the deal. Now it's time to turn it into a project. Based on the financial information from the deal a budget will be created automatically. 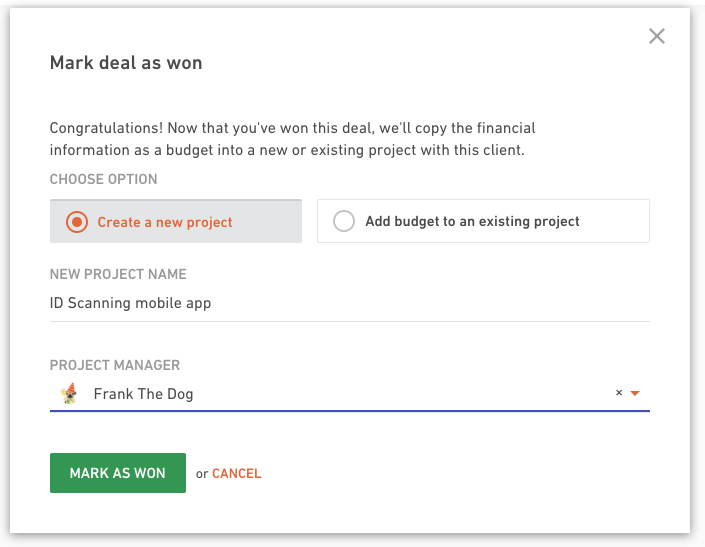 You have two options to choose from - either it's going to be a completely new project or you already have a project for the same client and you just want to create a new budget. Add a project name and a person responsible for the project. 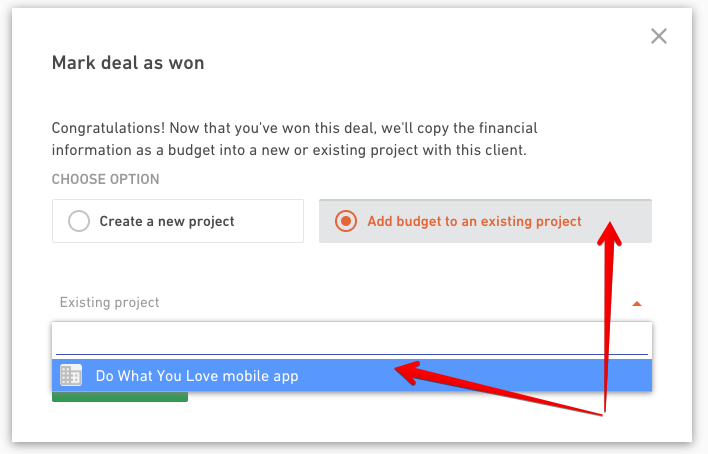 If you're adding a budget to the existing project, select a project from a drop down menu. Don't forget to hit the Mark as won button! Read more about Projects and Budgets to better understand why you need both.